DISCLAIMER: I am not a credit analyst. The information below is based on my experience and the experience of others who earn miles and points. Yesterday you read about the opening of 20 credit cards in one calendar year. One of the first questions that springs to some minds is: “20 credit cards? Won’t that decimate your credit score?” Let me explain. 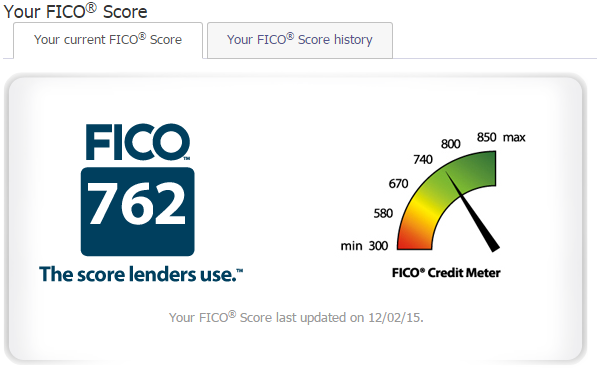 Your credit score is made up of 5 influencing factors, which impact and make up your credit score, known as FICO. These factors will contribute to your creditworthiness. The more creditworthy you are, the more likely you are to approved for a credit card or various types of loans. Myth 1: Paying the minimum balance is okay. Paying a minimum balance means that you are: paying late fees, therefore taking away from the positive gain of the points you’ve earned; seriously hurting your payment history (30% of the pie! ), and appearing to be borrowing more money than you have. Myth 2: Won’t applying for a new credit card seriously damage my credit? Every time you apply for a credit card–or any type of credit–your score is dinged a few points. This falls under the “New Credit” category. The nice thing is that your score recovers pretty quickly (think 3-4 weeks) from those applications. You can minimize the impact of credit pulls by applying for multiple cards from the same bank on the same day. Expert Tip! Applying for a Chase, American Express or Bank of America Card? Apply for two within the same calendar day and your credit pulls will merge from 2 (or 3) to 1 on the report. Myth #3: Using my entire credit line is fine, as long as I pay it back on time. The biggest percentage of the pie is ‘credit utilized’. My recommendation would be to have no more than 10% of your total credit (amongst all your cards) post at any given time. This doesn’t mean if you have a $10,000 credit line you can’t use $8,000; rather, this means if you’re using $8,000 of that total line, be sure to pay off $7,000 or preferably more, (so your balance is $1,000 → <10% of your total credit used). Myth #4: Denials hurt my credit score. The only part about a denial that hurts your score is the credit pull, or “inquiry”. If you’re not approved, you’re not adding new credit or lowering the average age of accounts. Let’s take a moment to talk about credit inquires. Every time you apply for credit, the bank will pull your credit report from one of the three major credit bureaus. Credit inquires (only 10% of the pie) slightly effect your overall score. Don’t worry–even with a denial (Myth #4), your score will bounce back. Opening up new accounts is not completely risk-free. New accounts on the other hand, do affect your score. They also fall under the “new credit” slice, but more importantly, they affect the average age of accounts–15% of the pie. Every time you successfully open up a new credit account, it will lower your average age. Tools like Credit Sesame/Karma show you your average age. The two most important factors affecting your credit score and health will always be your amount of credit used and history of on-time payments. Keep those in check and you’ll be on your way to a health credit lifestyle. There are three major credit bureaus: Experian (EX), Transunion (TU), and Equifax (EQ). Chances are you have a card from one of the above banks. Don’t be super concerned by your score–checking it everyday will only drive you crazy, but it’s a good tool for monitoring nonetheless. 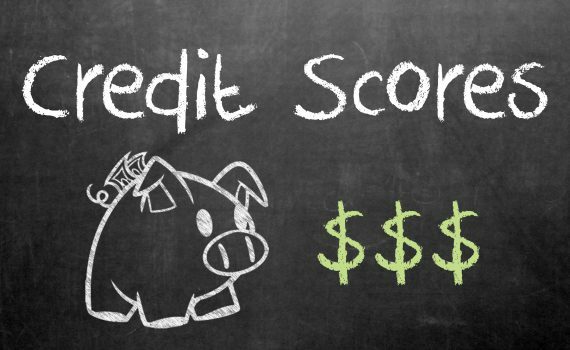 Free websites like Credit Karma and Credit Sesame do not provide you your real FICO Score, but they are great places for monitoring your EQ and TU credit reports–they’ll show any delinquencies, late payments, new accounts, percentage of credit utilized and recent inquiries on EQ and TU. Signing up is free and it’s a good way to keep eyes on your report. Everything listed here is an approval. It goes without saying that not everyone who’s ever applied for this card has gotten approved, but it’s a good place to start if you’re on the fence about applying for a specific card. The comments also give further information. Can be pretty useful. The above information can help you repair your creditworthiness if it’s been damaged, but also help to allay your fears about applying for credit cards or anything else related to your credit health. The most important aspect to maintaining a solid credit score, best rates and highest chances for approval is to be responsible with the credit allocated to you as the consumer. The more responsible you are with the credit, the less likely the banks will view you as a risk. Less risk means more approvals for you, and ultimately more rewards. There’s a lot of information (854 words! ), but one last piece of information: if you’re going to be applying for a large loan (refinance, home equity, mortgage, etc.) you may want to think about the volume of credit card applications you are, or will be pushing. Feel free to ask any questions in the comments! Up next on Mining for Miles: “Beginner’s Guide Part 1: Everything You Need to Know to Get Started”. While hard inquiries are necessary for certain financial actions, such as applying for a loan or credit card, they should be limited as much as possible. Your credit score may be penalized for multiple hard inquiries because applying for too much credit at one time may indicate that you are desperate for credit, or that you aren’t able to qualify for credit. While one hard inquiry will usually just knock a few points off your credit score, multiple hard inquiries in a short amount of time may cause significant damage to your score. Good point; I forgot to write about the two years. I’ll add it to my post. In the grand scheme of credit reports, though, take delinquencies–They stay on your report for SEVEN years, showing that payment history is a lot more important than inquires. Yes, inquires DO matter, but the miles/points community often times puts too much stress on inquiries b/c they do not matter as much as many people think. There’s some really interesting threads on creditboards.com that really go into detail (with experiments and results) about what matters more than others. I think Credit Karma is not explaining the last sentence fully: “multiple hard inquires in a short amount of time may cause significant damage to your score”–in the short term, but it will bounce back quicker than, say, a delinquency would. I love how you tackle the myths here! Such an interesting read! Thanks and glad you enjoyed!